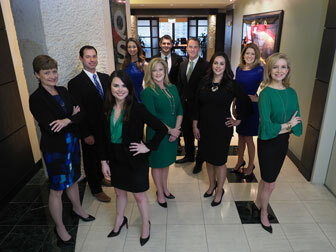 The firm maintains a sophisticated Family Law practice. We handle all aspects of divorce, including property division and child custody, possession and support issues. We place heavy emphasis on strategic planning and client communications throughout the case. We proudly offer an experienced, talented Family Law section dedicated solely to helping those individuals with family law needs. With over eight decades of combined experience, the attorneys have the skills necessary to help attain your goals. This includes collaboration and mediation/negotiation where possible, and trial experience when necessary. While many family law disputes may be handled by a single lawyer, in others a team approach or consultation with lawyers of other specialities is needed. Divorce is often a time of both personal and financial crisis. In those instances, we are fortunate to have tremendous resources at hand with our bankruptcy, real estate, employment law, and commercial litigation attorneys. We invite you to schedule a consultation with one of our family law attorneys to help you strategize and make the best decisions for your particular situation. It is our goal to provide the strength and comfort of sound legal counsel as a foundation for our clients to start a new life going forward. Please call us at 214.871.2100 or email familylaw@qslwm.com to speak with a member of our Family Law team.